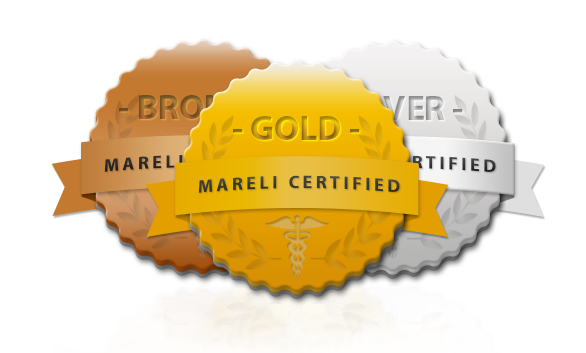 Get certified – Mareli Medical your supplier of dermal filler. One of the most important certification in Europe. The only certificate that shows the level of experience and knowledge. The only certificate that truly focus on the safety of the patient. In April of 2016 Mareli Medical (the creator of the Mareli Certificate) sent out an email to thousands of clinics around Europe, where they simply asked about what changes they wish to take place in the industry. We where NOT surprised that a lot of them where talking about all of the different certificates out there. The main problem is that there was no certificate that actually shows the differens in experience and level of knowledge. It does not matter if you worked with injections for 1 week or if you worked with injections for 10 years, but still everyone in this business knows that this matters a lot. It also matters to have a patient insurance, showing your experience, showing if you have a doctor in the clinic, showing that you only work with quality products etc. This is important for your patients and it is important for you. This is the only way to explain your price tag of the treatment. Its not fair to a doctor/nurse who have worked with injections for a lot of years who is more trained, more experienced than a person who just started to do injections to have the same price tag of the treatment. And it is not fair to the patient to actually believe that there is no difference, there is! This certificate is not sponsored by a medical company or a brand. 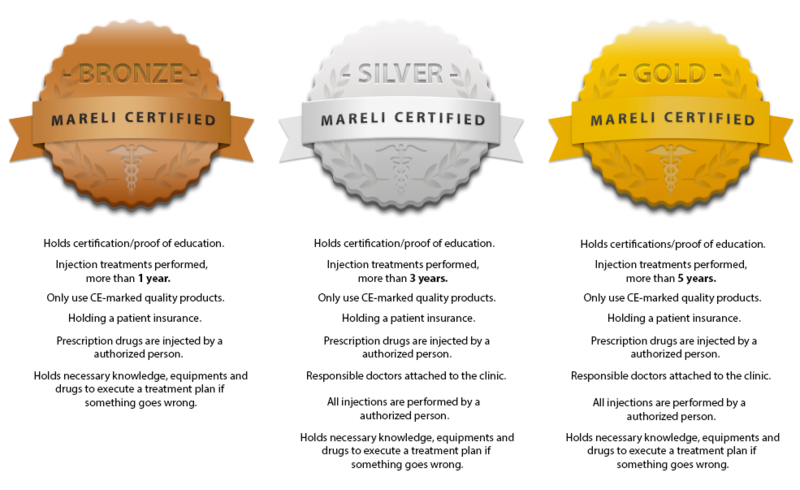 You dont have to be a customer to Mareli Medical to get certified. But you do have to be qualified for bronze, silver or gold. As a bronze, silver or gold clinic you will get an exclusive sticker of your certificate to put on the outside of your clinic to show your patients. You will also get a printed certificate to have on your reception desk or table. And the certificate is free!